Sometimes in life you come across a recipe that you enjoy so much, you make over and over again, this ones mine. Years ago I worked at a well-known Italian Restaurant in Portland, well, it was actually a landmark. 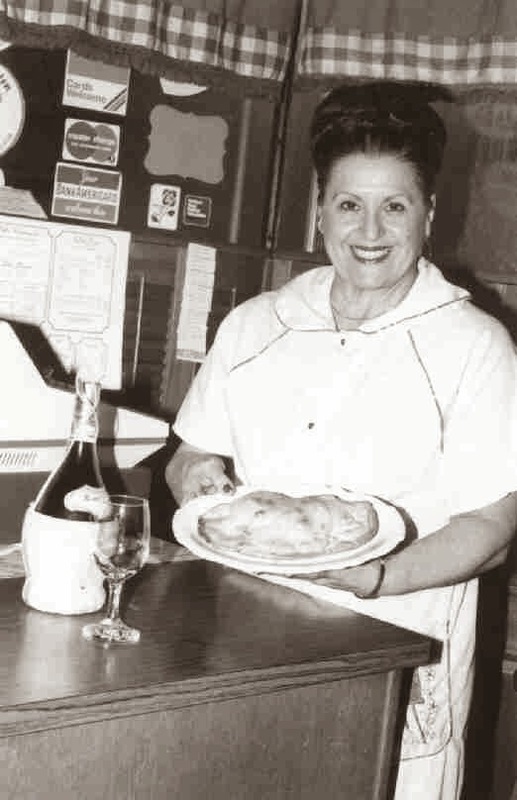 Sylvia’s Italian Restaurant has long since closed, after being in business since 1957, Sylvia Passed away in 1992, leaving the restaurant to her daughters, who later sold the property to neighboring restaurant The Rhinelander. I joined the Sylvia’s team in 1987, and left in 1989. During that time, I worked in the Dinner Theatre kitchen and occasionally the main kitchen, and learned a lot about the restaurant industry. I also learned so much about Italian cooking, and how to pronounce Italian food words, or else Sylvia would have you repeating them, like you were writing lines on a chalkboard. While I was only employed there a relative short time, there was so much about that job that impacted my life to this day. Previously I posted a recipe for Rosemary Chicken. Check it out if you haven’t already. 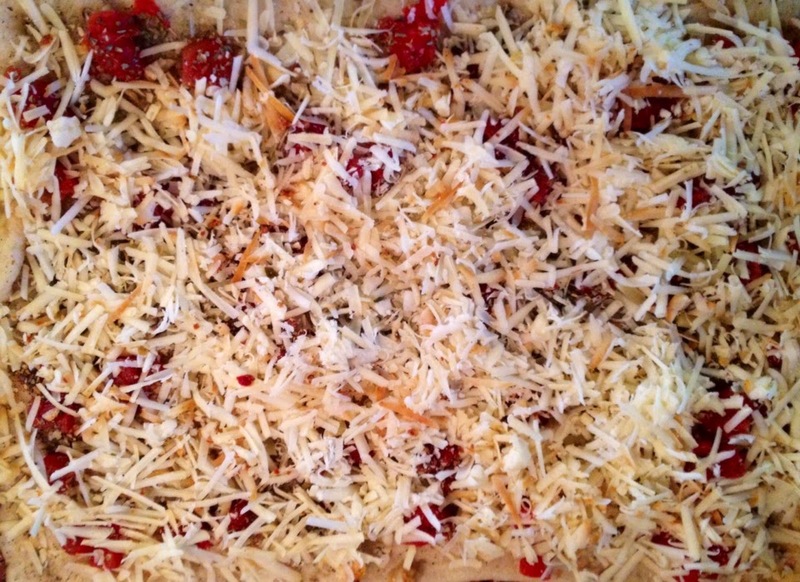 For one of the Food Festivals Portland had, that Sylvia’s participated in, we made a quick rustic pizza, Sylvia referred to as Pizza Rustica. 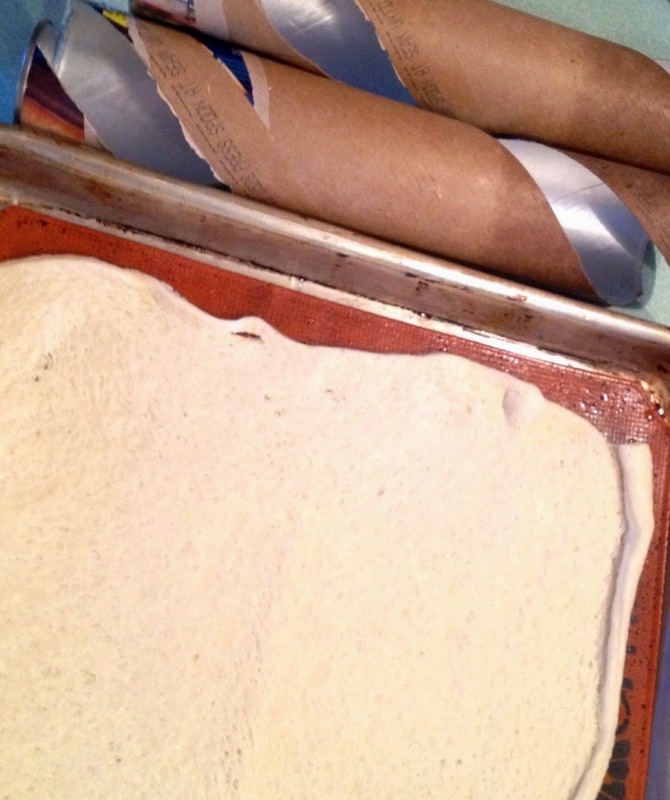 Now, sometimes I make pizza crust, but usually I take a short cut and use a premade dough. When I have time, I do Sylvia proud, and make a homemade crust. 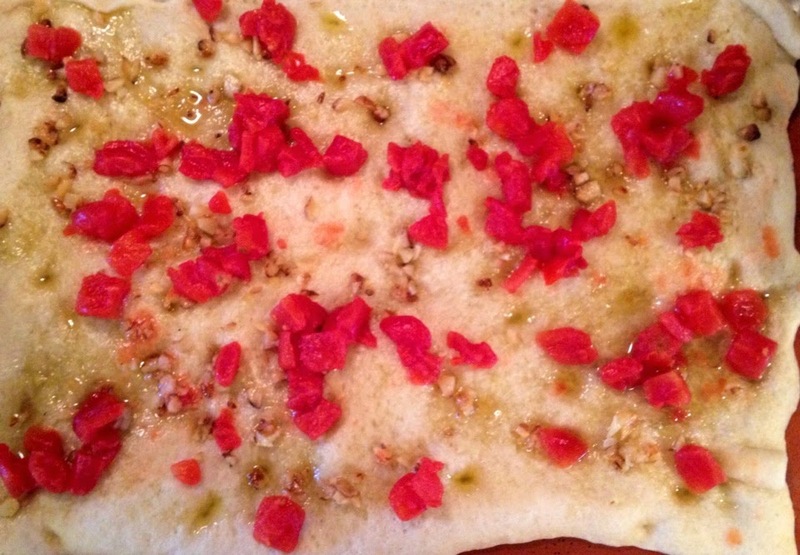 You can also use a Focaccia bread as well. 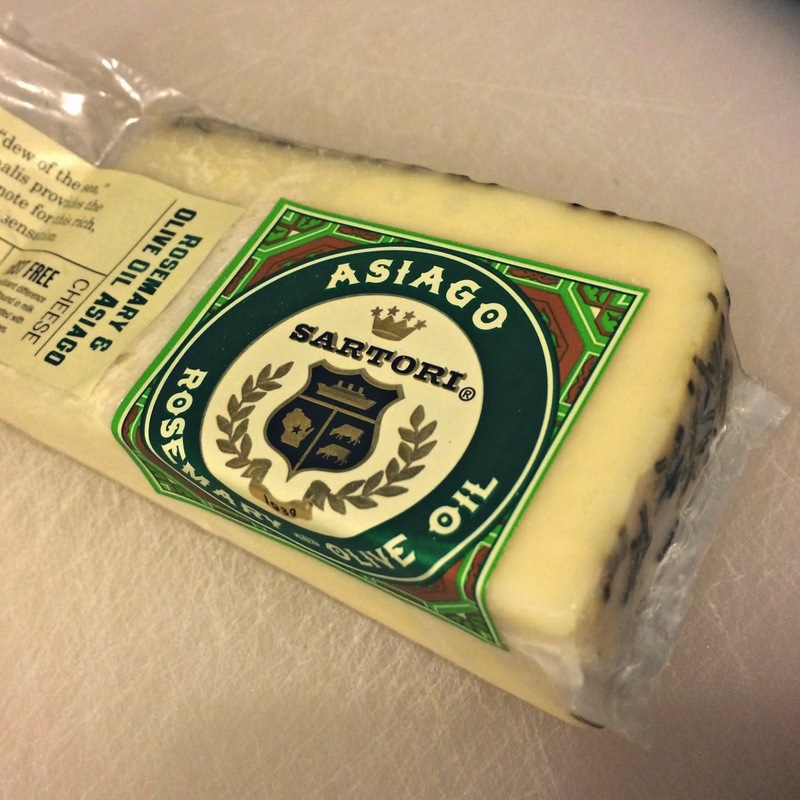 Now let’s talk about cheese…..use what you like, but I HIGHLY recommend a great Asiago. Parmeggiano Reggiano is the standard of parmesan cheeses, but Asiago has such a brilliant forward flavor, that makes this pizza what it is. For my pizza I use a Rosemary and Olive Oil rubbed Asiago, from Sartori Creamery. 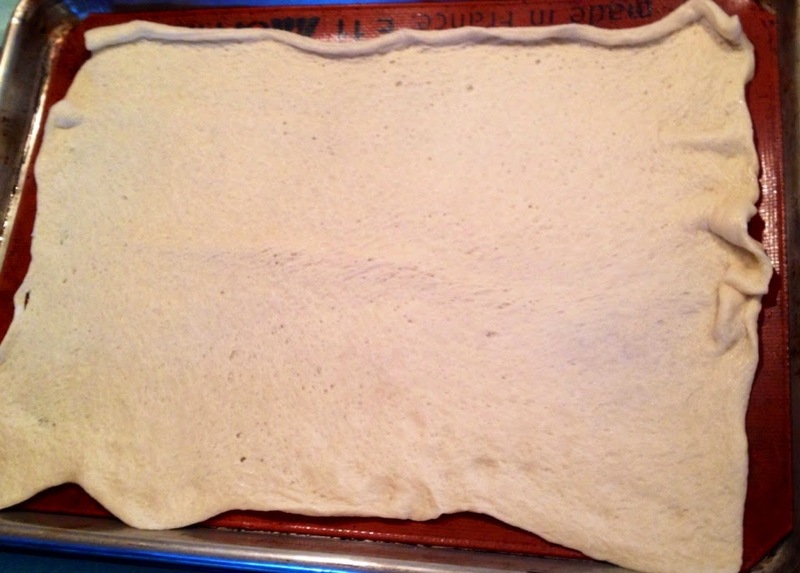 Roll pizza crust on to pizza pan. Press finger tips into dough to create divots. Sprinkle the chopped garlic evenly over the crust and drizzle olive oil over crust. With your hands (Yes, get your hands dirty, they are your best kitchen tool!) rub in the garlic and oil. Bake for about 5 minutes, or until the crust in solid, but NOT golden (par-baked). Remove from the oven. 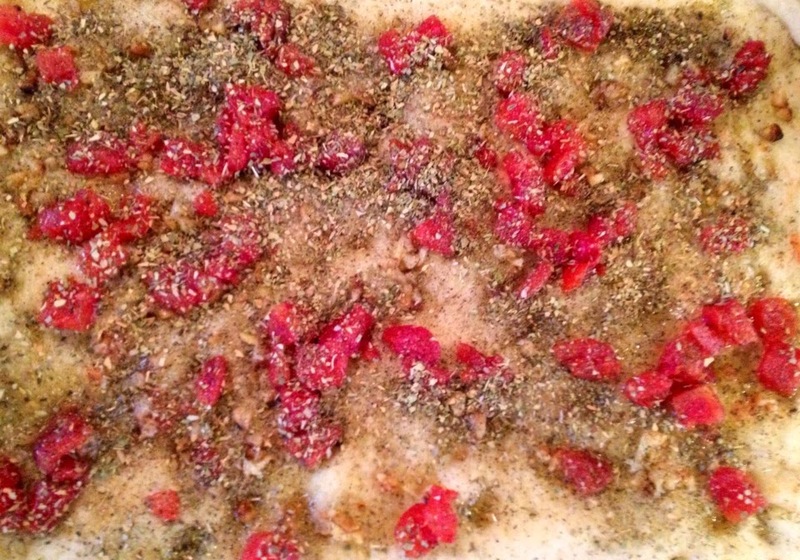 Sprinkle diced tomatoes on top of the par-baked crust. Next sprinkle the salt, pepper and oregano. Lastly completely cover with the Asiago cheese. Bake for about 15-20 minutes, until the cheese has melted. Cut pizza however you choose, we like it in squares, how Sylvia would have cut it herself! Funny side note, Sylvia's came to one of my cooking classes in high school (which is where I was offered the job she had open! ), and during her speech she talked about how she found out what customers wanted, and how she would change to adapt so that customer could get what they were asking for. In the late 60's, I think it was, a customer came into her pizza shop and asked her for a Hawaiian Pizza. Her first though was "what the hell was that?" She asked the customer what was on a Hawaiian Pizza, and they explained the ingredients and told them that it would be ready shortly. She ran in back and headed to the local store to get the Canadian bacon and pineapple, all the while thinking how horrible this pizza would be. She made the pizza and a small one for her and her staff to try, and she admittedly hated it, yet continued to offer it to her customers, whenever they asked for it. 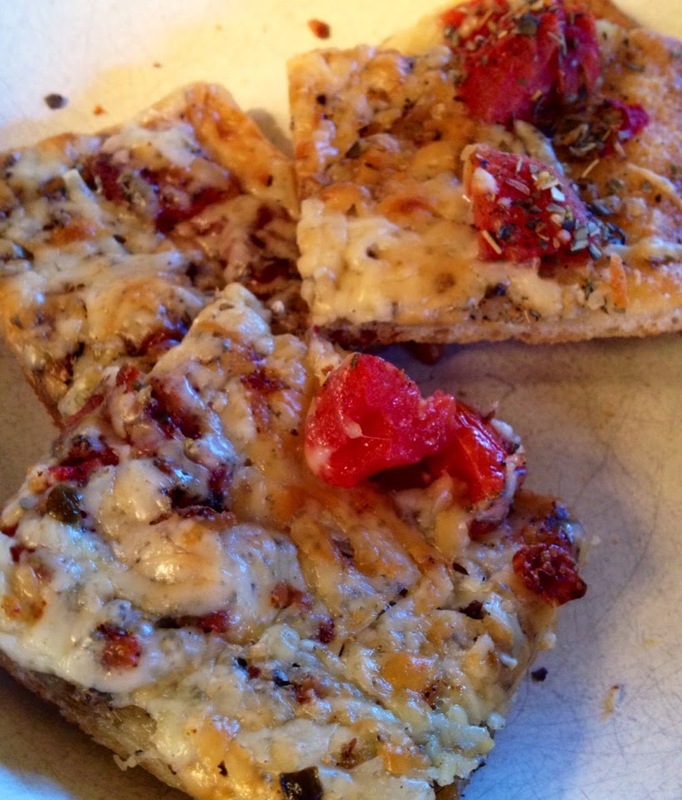 Sprinkle diced tomatoes on top of the par-baked crust. Next sprinkle the salt, pepper and oregano. Lastly completely cover with the Asiago cheese. Cut pizza however you choose, we like it in squares, how Sylvia herself cut it! Beautiful! I remember you making that there.. Just simple lusciousness! Any line on that amaretto cheese cake she had. Always always disappointed with cheesecake since then! !